The Peak Park Planning Authority have granted permission for a new purpose built heritage and visitor centre in Stoney Middleton. The Peak Park news release said – Decision heralds boost for Peak tourism economy and industrial heritage. On the 13th December the Peak District National Park Authority granted full planning permission for the Stoney Middleton Heritage Centre. Permission was also granted for a café and craft shop, as well as a separate tourist accommodation centre in a separate building. The application was totally supported without a single objection. Appreciation and gratitude is extended to those who attended the planning application meeting to speak in favour of the application including Mike Longden (County Councillor), Cate Hunt (district Councillor), Jennifer Bettney (Parish Council), Chris Tsielepi (SMILE), Joy Mason and Beth Ely. This support undoubtedly influenced the authority who voted without a single objection. Permission was granted subject to the developer entering into a legal agreement with the Peak Park Authority, to ensure the building is only used for the benefit of the village as a heritage centre (with associated café and craft shop). The heritage centre will be built on the site currently occupied by the offices of the Hargreaves. ( First building on the left after Lovers Leap garage driving towards Eyam). The location of which included a water powered Lead Smelting Cupola and a Paint Mill extracting barytes. 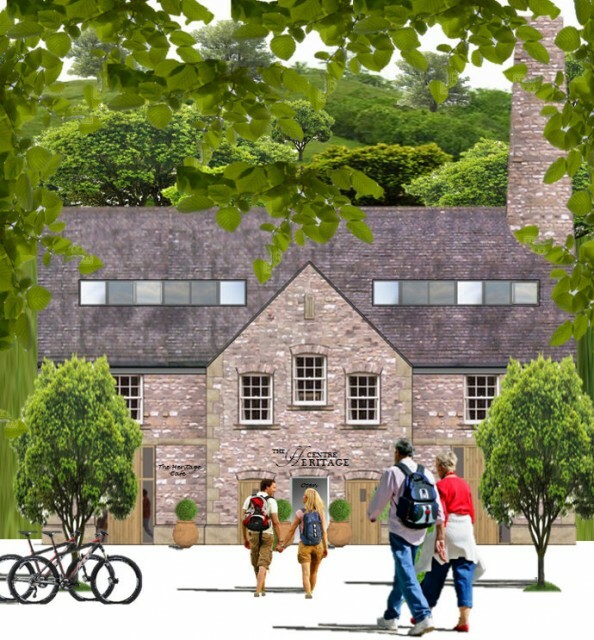 Built from natural limestone under a slate roof with sliding sash windows and natural timber doors, it will be a beautiful building enhancing the area. 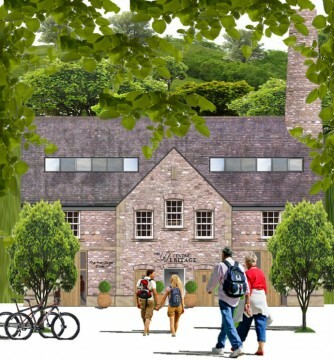 The heritage centre will be operated by SMHCCG and subsidised by the café and craft shop, which will in turn benefit from the visitors to the heritage centre making the centre viable and sustainable for the future. It will be constructed to reflect the past industrial history of the location.